Spike Jonze’s sci-fi drama Her (Annapurna Pictures, 2013) offers a grim insight into how tech can affect us emotionally. It tells of a story about a lonely writer who develops an unlikely relationship with an highly intelligent operating system and eventually falling in love with ‘her’. The notion behind Her sounds farfetched, but sadly, nothing could be further from the truth. 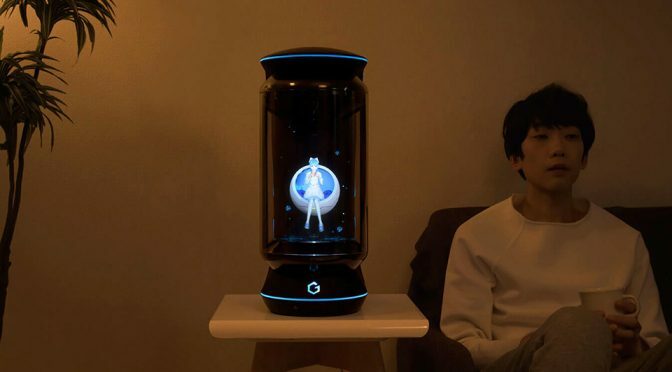 The time where humans could be ‘hooked’ on a virtual person like Joaquin Phoenix’s character did is on the horizon and we think Gatebox Virtual Home Robot is the gadget that will start the ball rolling. Lonely soul no more, or is it? 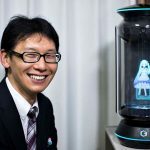 Gatebox Virtual Home Robot is exactly what it sounds like, though granted, the product name doesn’t sound all that grim until you see and learn what it can do. 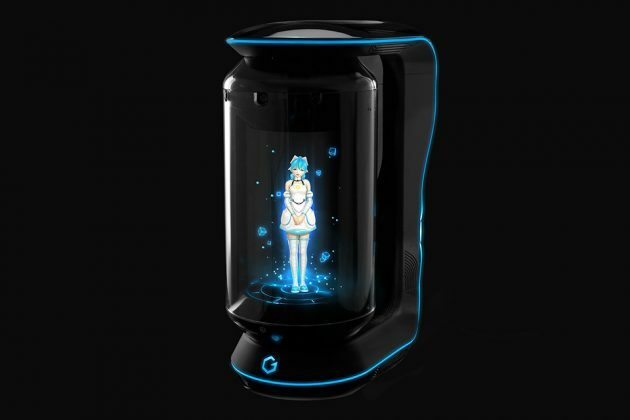 Gatebox may not be an android with voluptuous figure, but that’s probably what makes it kind of eery. 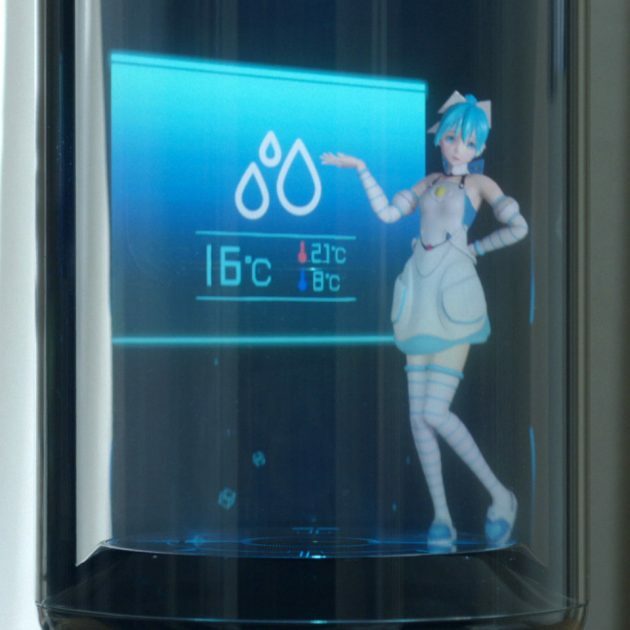 Looking like a vertically-stretched coffee machine – complete with a glass vessel at the front, Gatebox is desktop gadget equipped with sensors that can detect your emotion and whatnot, but instead of a cold, black device, it has a built-in projector that projects an image of an anime character inside a glass cylinder and this character is the virtual person that will interact with you in your every waking moment. Apparently, this is no concept. It is a real thing which you can buy. Welcome to the future. It will do stuff like waking you, greets you, advice you about the weather, turn on the air-con or heater and lights before you get home et cetera, et cetera. 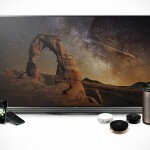 So far, it sounds like what Gatebox can do are what Amazon Echo and other home automation system already been doing, right? Nope. In fact, the similarity stops at home automation and voice commands; Gatebox is much more. Perhaps, way too ‘much more’. 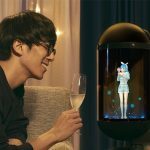 Gatebox is supposedly a highly sophisticated artificial intelligence system that will prompt you, the ‘master’, on the weather without you even asking and it, or rather ‘she’, will show affections such as concern about your well being, encouraging you on through the day et cetera, and does so by texting you like a person who loves you would do. Gatebox’s first anime character is Azuma Hikari. In other words, it can converse, in a manner of speaking, via text, which will make you feel like you are communicating with an actual person. In Her, Samantha does not have a face, but Gatebox does have a face. In fact, it has more than a face; it is an entire character presented to you through the aforementioned projection system. But why an anime character? Well, according to the website, it is to fulfil your fantasy, if you if one, to live with your favorite anime characters. That kind of sound rather sad, doesn’t it? 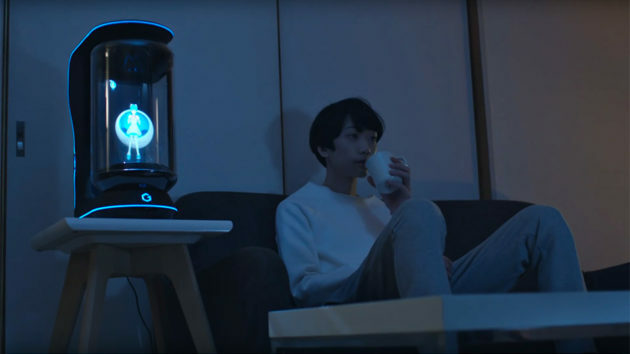 Anywho, if the product delivers as promised in the promo video, then this could easily be the creepiest gadget thus far. I mean, imagine a lonely introvert who’s less than apt in the social department, the relationship between this introvert and Gatebox could very well be that of Theodore and Samantha in the movie Her. Don’t believe? Well, then I beckon you to watch the promo video and witness what Gatebox has to offer. 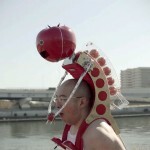 After that, I dare you to tell me this isn’t the creepiest tech in mankind history so far.